There are a number of services and student organizations to enhance the university experience of Aboriginal students and those interested in Aboriginal issues. 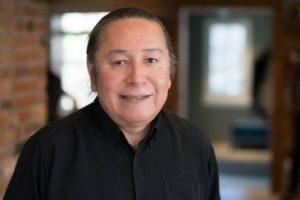 Randy Pitawanakwat is the director of the Centre for Aboriginal Services, which offers a range of services for Indigenous students, ranging from academic mentoring to ceremonies and teachings. York’s Native students generally meet there, as well as at a newer gathering place called Skennen’kó:wa Gamig. There are currently two Aboriginal student organizations on campus. For undergraduate Aboriginal students there is the Aboriginal Students’ Association at York (ASAY) which meets regularly. For Aboriginal law students there is the Osgoode Indigenous Students’ Association (OISA). The Aboriginal Students' Association welcomes non-Aboriginal students to be associated with the group and to volunteer for the annual York Powwow, organized by students. York has an Indigenous Council, with members from the University and Indigenous organizations and First Nations representatives. The Council provides input on anything relating to Indigenous people at York. The Aboriginal student organizations have representatives that sit on the Council. Finally, although renovations at Atkinson, our home building, through 2018 will delay the process, the Indigenous Studies program will be providing Elders and cultural advisors to meet with students as soon as our new room for Elders meetings and smudging is completed.